Everything is as is and as shown so look at the pictures closely because almost everything will be old and having its own history even beyond ours. We have saved them for you for over 50 years! And the word LEVI has the BIG E!! Vintage 1940’s-50’s Can’t Bust ‘Em Jeans Leather Patch Crotch Rivet Child Size. Shipped with USPS Priority Mail. 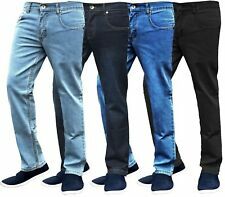 Photos are an accurate depiction of the quality and condition of this pair of jeans. Vintage Levi 501 Gray 30-36, Made In USA Deadstock Levi’s, dated 1984 on tag. Like new condition. Unworn. May have been washed once, tag attached with staple. Nice Dark Color with normal wear. There's fade marks on both sides of the legs from storage. No visible holes. Pockets are in good condition. See Photos for condition. You will find all of the details in the photos. Easier to find a purple unicorn! Original vintage Levis jeans. Single stitch back pockets, selvedge outer seam. New old stock, no wash condition. Size 60 waist, 32 inseam. 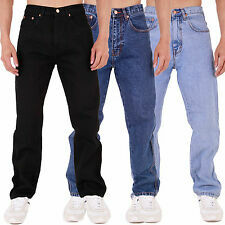 Levi’s Vintage Mens Jeans, 1901 501s. Preloved. Slightly lighter weight denim than later model 501s so very soft to wear. BELL - 12". ORANGE TAB. INSEAM - 32". No exceptions. WAIST ACROSS:17.5 ". 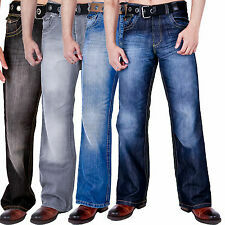 LOT OF 2 RANCH CRAFT JC Penney Original 60's Denim Jeans DISTRESSED. Mid Century- 60's approx. UNION MADE IN THE USA. DARK BLUE JEANS. FRONT RISE-13. Nice color to them. Scroll down for super-sized pictures! make Supersized seem small. UNUSED 1987 LEVI'S 701 STUDENT FIT 501 BUTTON FLY BLUE DENIM JEANS! MADE IN USA! GENUINE LEVI'S! BUTTON FLY. HARD TO FIND JEANS! LOCATED BENEATH THE REAR POCKET LABEL, SEE FIRST TWO PHOTOS. UNUSED W/TAGS 1992 LEVI'S 550 BLUE DENIM JEANS W/DEFECT! ORANGE TAB! USA 36X32! NEW W/DEFECT! MADE IN USA! 36X32 ORANGE TAB NWT. 1992 NEW LEVI'S 550 BLUE DENIM JEANS! 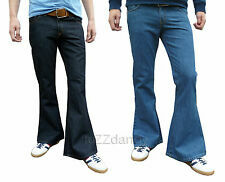 "LOOSE INTERPRETATION OF THE ORIGINAL LEVI'S". GENUINE LEVI'S! ALTHOUGH THEY ARE NEW, IT HAS A SMALL AREA ON THE FRONT WITH TORN THREADS, IT IS NOT A HOLE, IT DOES NOT GO ALL THE WAY THROUGH. Vintage LEVIS 501 Selvedge Denim REDLINE JEANS Produced in the USA during 1978-1983. Double Stitched Pockets. Size W34 L29. actual measurements: waist-32”, rise-11”, inseam-25” Excellent Condition with an Ideal Wear for Collectors. These Jeans were found in the Eastern Sierra Nevada Mountains of California. SELLER OF ORIGINAL AUTHENTIC BRAND AZTEC---NOT FAKES!! Rare near deadstock 1969/70 Lee cowboy cut cotton pants Talon zip Fits 30w Navy drill cotton Very rare made in Australia. UNUSED 1987 LEVI'S 701 STUDENT FIT/501 BUTTON FLY BLUE DENIM JEANS! MADE IN USA! GENUINE LEVI'S! BUTTON FLY. HARD TO FIND JEANS! LOCATED BENEATH THE REAR POCKET LABEL, SEE FIRST TWO PHOTOS. Fits a modern 34 x 30.